At the University of Dayton, we have an incredible story to tell. And it's important that when we speak about ourselves, we speak with one voice. 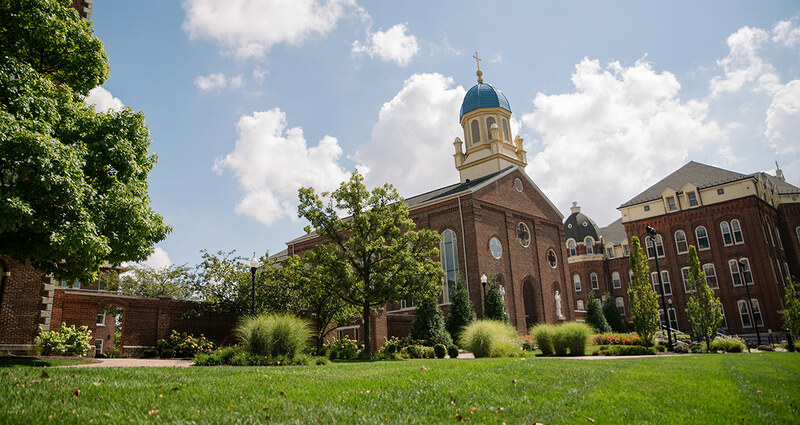 We need to speak in a way that makes others understand just what makes UD so special and compelling to us. With that, we can continue to create momentum for the University and give expression to our collective aspirations as a community. Have an idea for a story? We'd love to hear it! Story ideas will be considered for UD Magazine, Porches, Campus Report, UDQuickly, and other marketing and communications outlets. These templates allow departments to create branded publications (brochures, handouts, posters, postcards and PPT presentations) without special software or design knowledge. Our marketing teams are responsible for creating compelling marketing materials that elevate's the University's national reputation, as well as supporting initiatives for advancement and enrollment management. The Media Production Group produces creative, high-end videos for the University and businesses across the country. MPG provides complete production services, including scriptwriting, studio and location production, graphics, animation and editing. The news and communications team helps advance the University's reputation by connecting our campus experts with media outlets around the globe. In addition, the team coordinates internal communications to campus. The UD Magazine team engages, educates and entertains audiences through mission-based storytelling in print, digital, social media, photos, videos and more. The team manages the UD Magazine, UD Quickly and several social media channels. The Office of University Marketing and Communications advances our shared purpose. We serve as the beacon for our brand — our story — so audiences recognize the University and what we stand for. We know there's a lot involved in the successful creation and distribution of a marketing or communications piece, and we want to provide you with the right resources to make the process painless. Any photographs or video taken under the direction of the Office of University Marketing and Communications, or any other University sponsored program, may be used in news stories, on the web or in University publications. Photos may be used in publicly disseminated promotional materials. Your name will not be listed in the caption or accompanying text without your permission. If you prefer not to be photographed, simply inform the photographer at the time photos are taken.